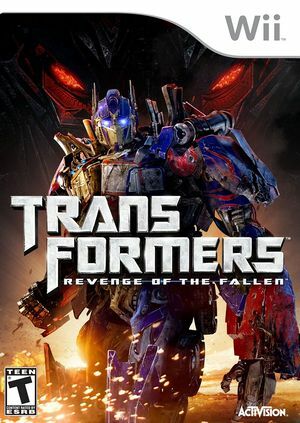 The fate of the earth and the survival of the human race hang in the balance in the Transformers: Revenge of the Fallen video game. Based on Hasbro’s legendary TRANSFORMERS property, the game takes players on an action-packed journey that follows a similar storyline to that of the highly anticipated blockbuster film from Paramount Pictures and DreamWorks Pictures. Playing as both the AUTOBOTS and DECEPTICONS, players are propelled into an adrenaline-pumping battle for supremacy across the globe where every second and every choice makes the difference between mankind’s salvation and annihilation. At extremely high internal resolutions (5x and higher,) some FMVs will display three vertical offset lines across FMVs. Where and if the lines show up depends on graphics card and internal resolution. The graph below charts the compatibility with Transformers: Revenge of the Fallen since Dolphin's 2.0 release, listing revisions only where a compatibility change occurred. This page was last edited on 13 January 2018, at 15:16.